Preserving and promoting Baltimore's historic buildings and neighborhoods. Built in 1845 by the Baltimore Hebrew Congregation, the Lloyd Street Synagogue was designed by noted Baltimore architect Robert Cary Long, Jr. and is the third oldest synagogue in the country. It is also a story of ever-fluid immigration in Baltimore as the building changed from Jewish to Catholic, back to Jewish, and eventually to public space as a museum. The Baltimore Hebrew Congregation owned the synagogue until 1889, when it transitioned into St. John the Baptist Roman Catholic Church, one of the first Lithuanian “ethnic” parishes in the United States. In 1905, Shomrei Mishmeres HaKodesh, one of the leading Orthodox Jewish congregations of Baltimore’s Eastern European immigrant community, bought the building. And in the early 1960s as the synagogue was threatened with demolition, the Jewish Museum of Maryland was formed to purchase and care for this historic landmark. As for the B’Nai Israel Synagogue, it was built in the 1870s in a Moorish architectural style by the “Russian Congregation B’nai Israel of Baltimore City.” While many East Baltimore congregations closed or left the city following World War II, B’Nai Israel remained (and still remains) downtown, perhaps part of a Talmudic obligation to protect at least one shul in every city. 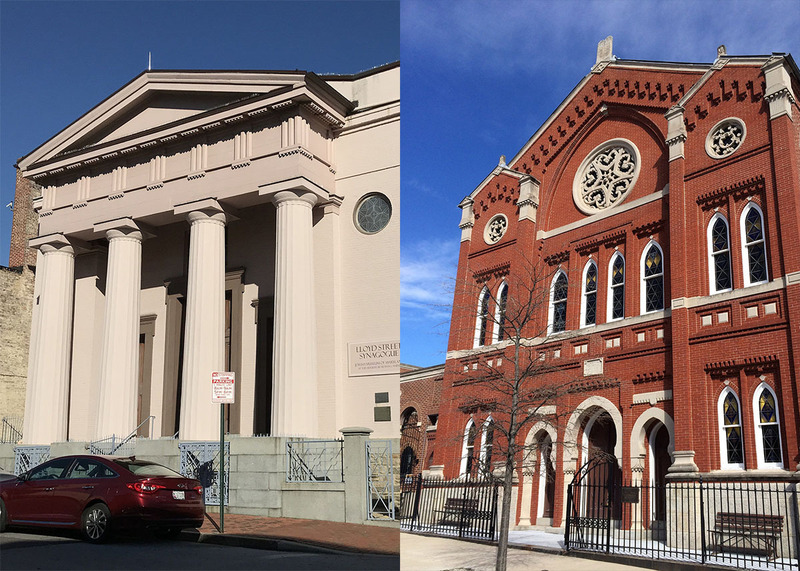 Please join us as we visit these historic structures and learn about architecture, immigration, and history with a guide from the Jewish Museum of Baltimore. Our Baltimore Behind the Scenes Tours program has been funded by Mayor Catherine E. Pugh and the Baltimore Office of Promotion and the Arts.